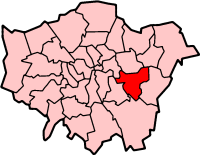 The Royal Borough of Greenwich is a London Borough. It is in south east London. This page was last changed on 12 May 2018, at 15:07.